Honesty, reliability and compliance with deadlines, these core values are the building blocks of our business and are applied from design, print, and installation of all types of wraps. 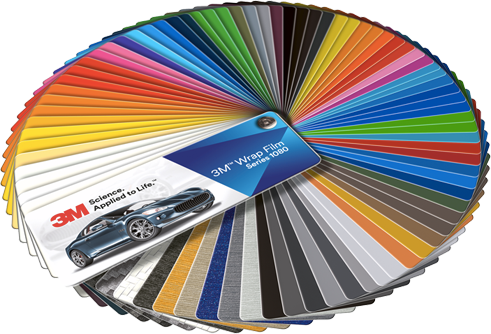 From fleet/commercial to custom specialty color change, we strive to make your vision a reality. Out customers range from small business to multi-national corporations. Our experience and knowledge in the vehicle wrap industry gives us the edge over companies new to the industry. We give you the piece of mind knowing the job is done right the first time. Our in house install team gives us the ability to complete all jobs in a correct and timely manner in order to help get our customers vehicles back on the road. Our growth over the years has allowed us to expand into all areas of the commercial graphic sector while maintaining a strict standard of quality and service. From start to finish we will guide you through every step of the process and answer any and all questions you may have regarding your project so there is no confusion. If you are ready to make your vision a reality please dont hesitate to contact us here at Exotics Car Wraps. We´re ready just waiting for you, make a decision but do today! We have a sales team and consultants ready to go to your location in Florida, to do Car Wrap Color Change you have to know all about this.